Facts and information about the History of Clothing and Native Indian Hairstyles. Traditional Native Indian Hairstyles varied from tribe to tribe. Short hair, long, hair, braids the Chongo, shaved and plucked hair and the famous Mohawk hairstyle were all worn by Native Americans. 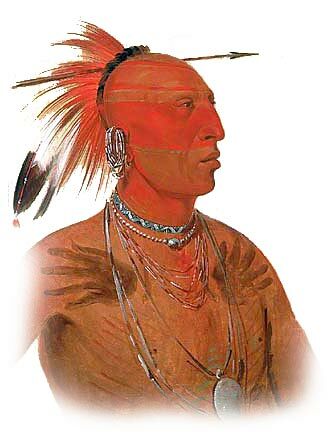 The famous Mohawk style, also referred to as the Mohican, actually originated from the Pawnee tribe. The long hair of the women of Hopi and Zuni tribes was worn in a traditional chongo style with a hair knot called a Homsoma which was wrapped in white yarn. This article provides facts and information on the Native Indian hairstyles adopted by different tribes.